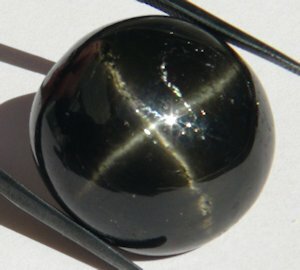 Myanmar (Burma), Russia, Pakistan, South Africa, Austria, Brazil, Italy, North America, Sri Lanka (Ceylon) and Finland. 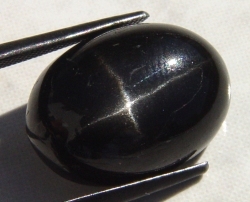 Star diopside is mainly from India. 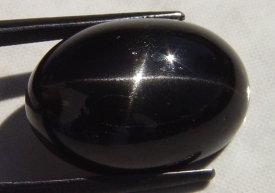 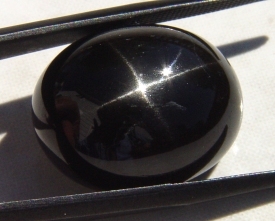 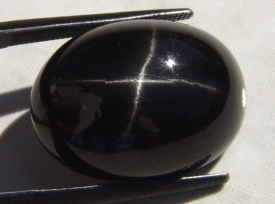 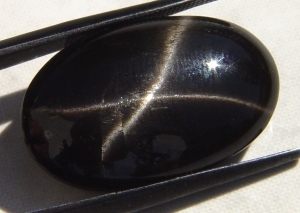 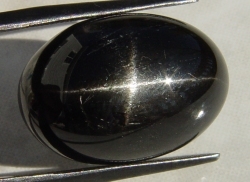 Opaque and black with a unique 4-rayed star, unlike any other star gemstone. 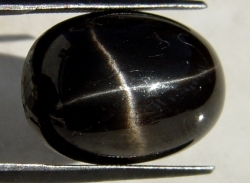 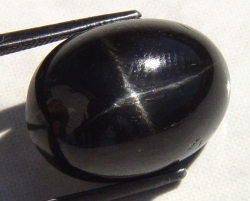 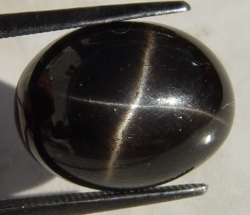 Similar in appearance to the black star sapphire which has a six-rayed star. 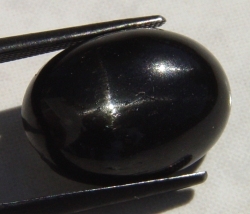 Black star diopside is not known to be enhanced. 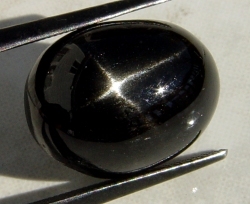 Black Star Diopside is a member of the Diopside gemstone family. 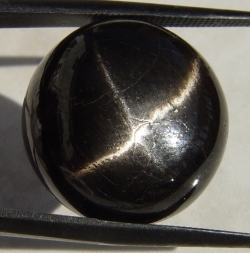 With an excellent four rayed star.